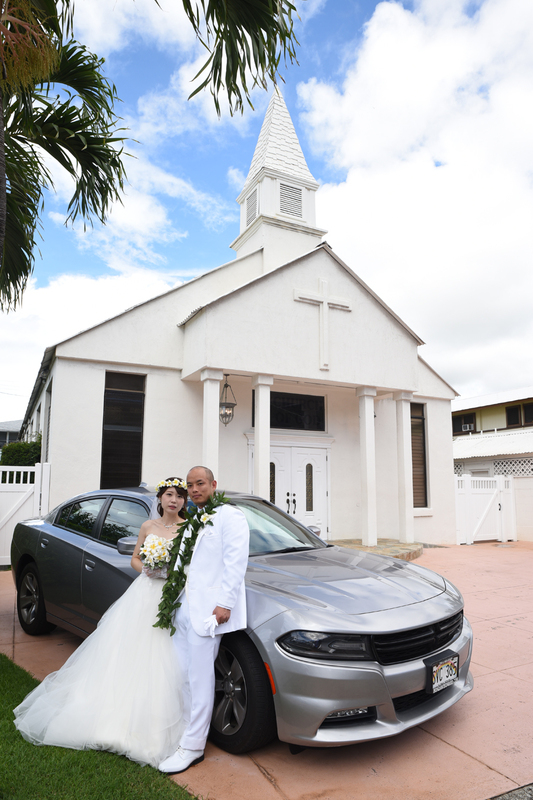 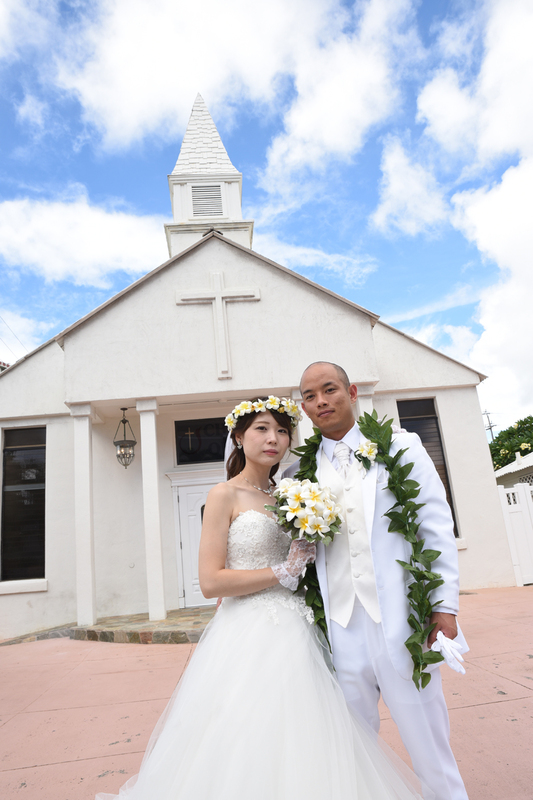 Bride and Groom pose in front of the Church by the Photographer's Dodge Charger. Looks good in the photos! 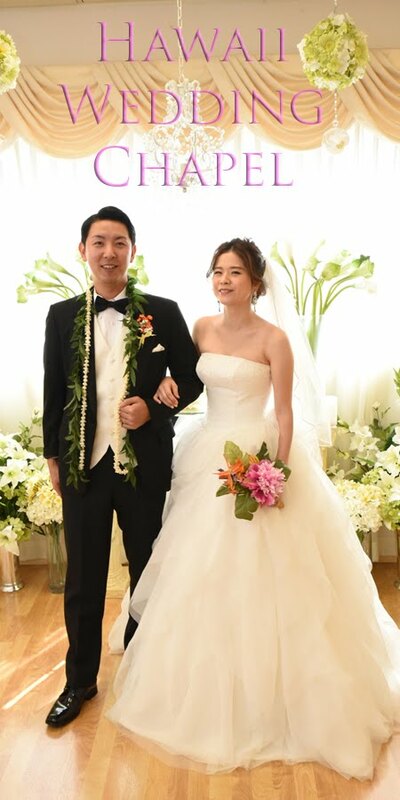 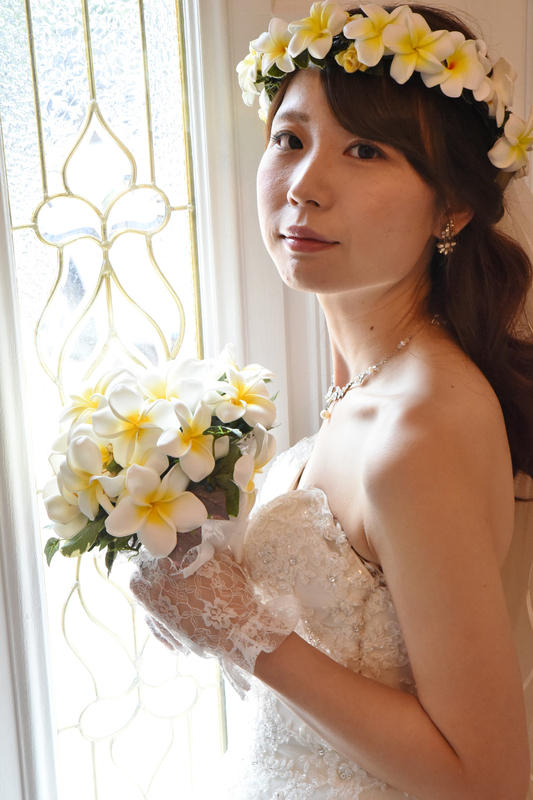 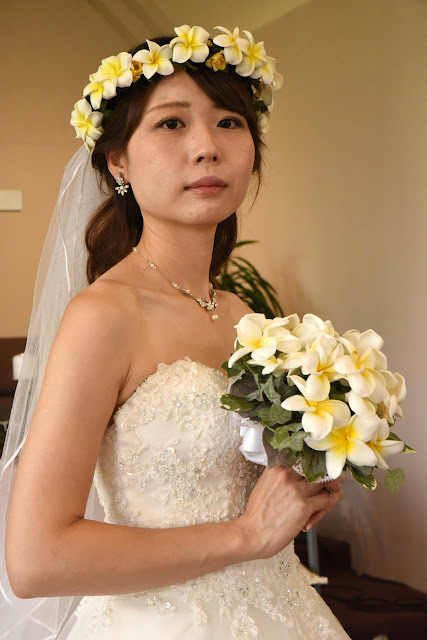 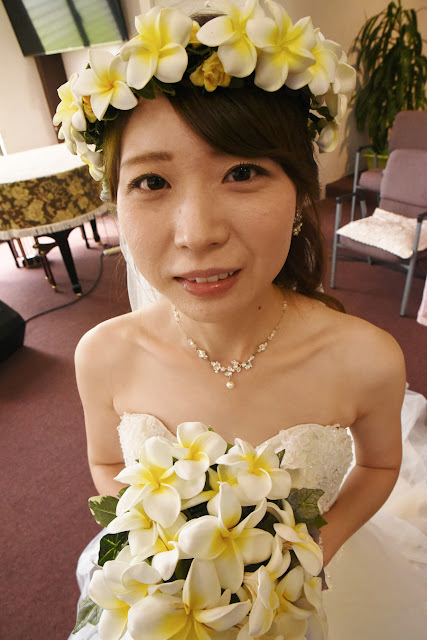 Ayumi makes a nice model for the plumeria flowers. They seem to match her well.